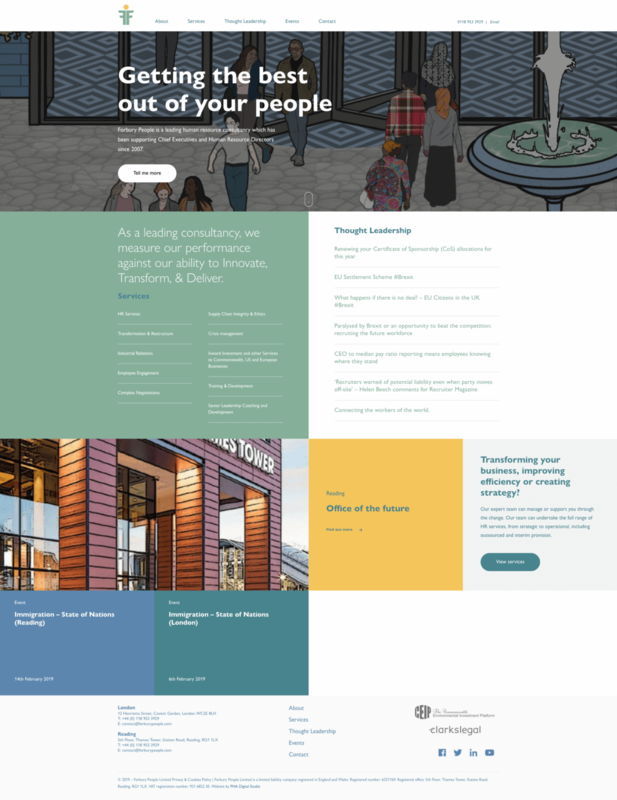 Forbury People is a unique and flexible Human Resource Consultancy company, which has been supporting Chief Executives and Human Resource Directors since 2007. 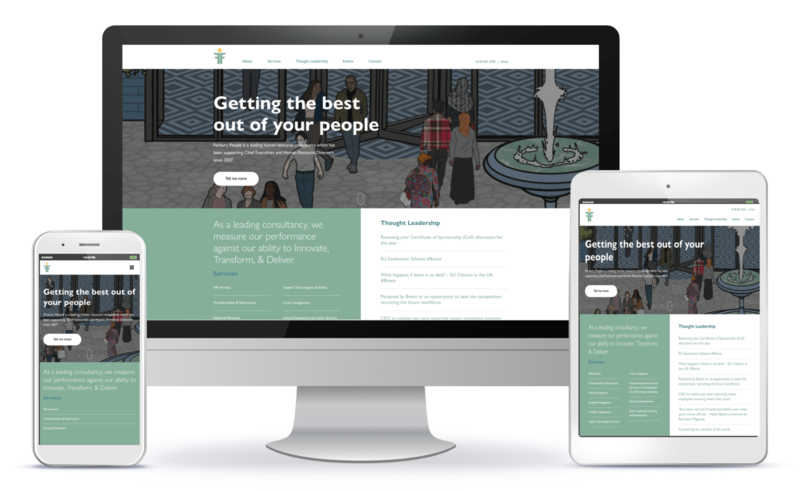 We were approached by the company with the aim of producing a highly visual, engaging site, with a different look and feel to a typical HR consultancy site. 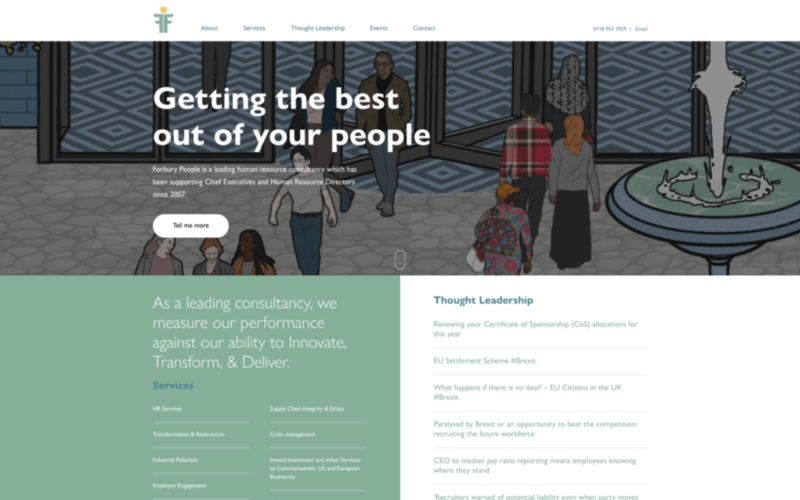 We worked closely with the client to build the framework for the website, working with the branding agency we undertook a workshop to guide the design and development process, and keep all parties on the same messaging path. The design structure took a grid layout similar to the branding. 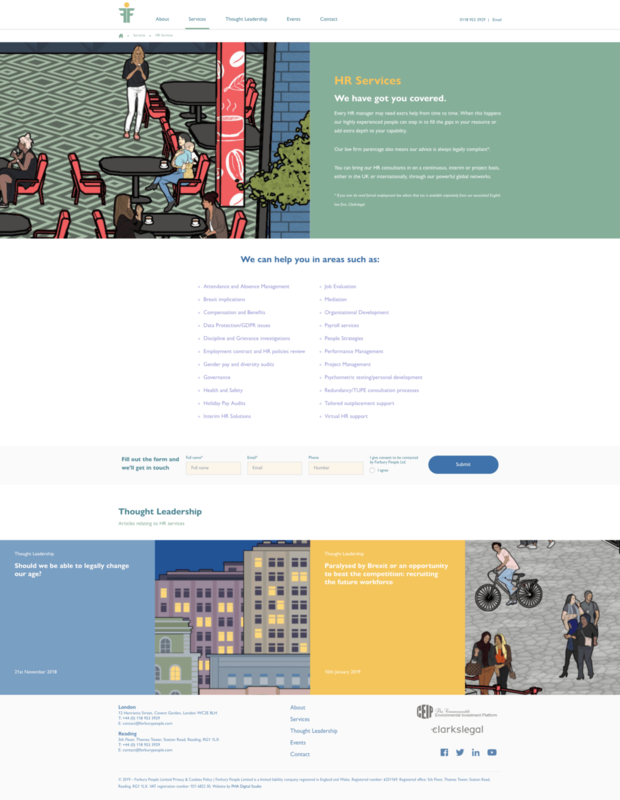 The Forbury People site was built with all the latest responsive technologies in mind. 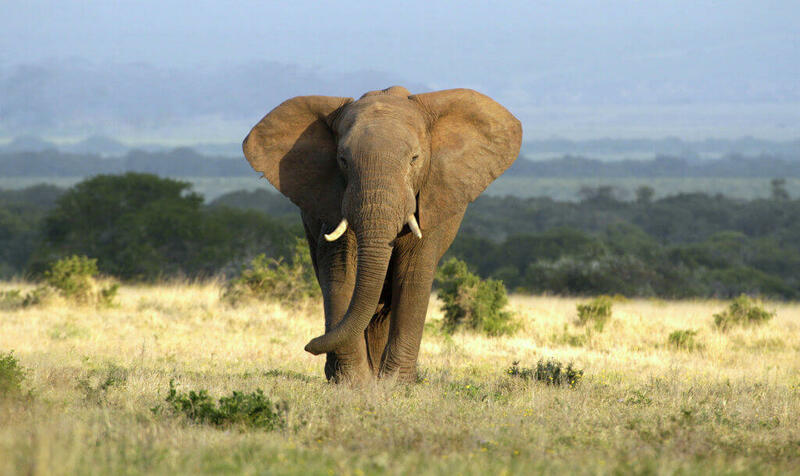 We used state-of-the-art WordPress technology, hosted on our most advanced security server and supported by powerful plugins. 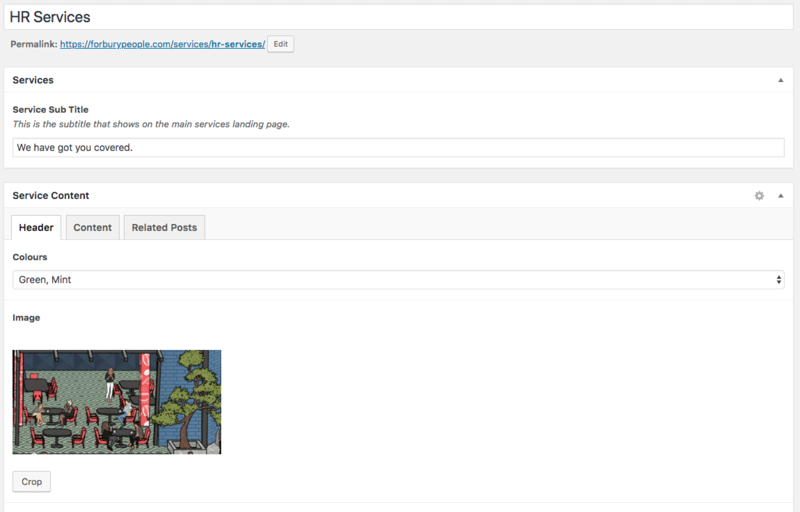 As requested by our client, the site is now SEO optimised and boasts a much needed tailormade admin panel, which allows the client to update and edit the content and create new pages such as their integral thought leadership content. 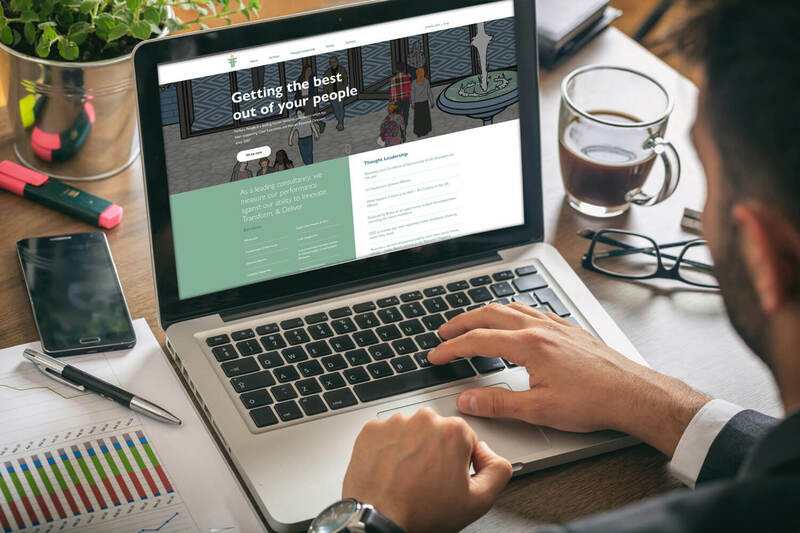 The key targets for this project were not only to modernise the look and feel of the website but restructure the messaging to highlight the company’s mission and clear call to actions.